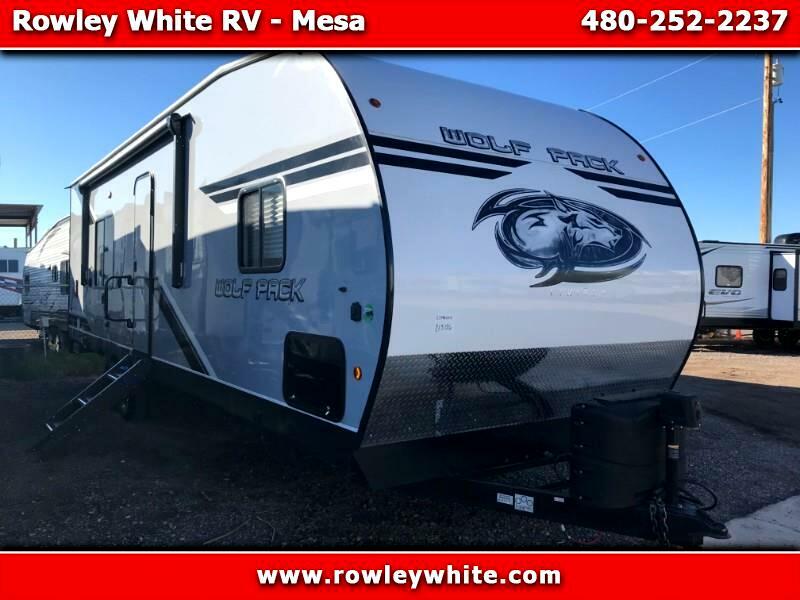 2019 Forest River Wolf Pack 28’ 5th Wheel Toy hauler with generator! NEW 2019 Forest River Wolf Pack 23PACK15 Toy Hauler! There is 15 feet of cargo space! Save on tax! Our tax rate is only 6.3%, compared to 9% or higher elsewhere! Save hundreds just in tax! We are open Monday – Friday 8-5 Saturday 9-4 all other times by appointment. We will not be under sold! If you are looking at a Stellar, Attitude or any other brand of toy hauler somewhere else stop by or give us a call before you buy, we will make it worth your time! Message: Thought you might be interested in this 2019 Forest River Cherokee Wolfpack.